Arch expert Kristie Streicher shares her surefire strategy for better, thicker brows. If the slightest alteration to your arches—a hair or two more here, a milimeter less there—can change your look completely, then consider the transformative powers of a session with brow master Kristie Streicher. 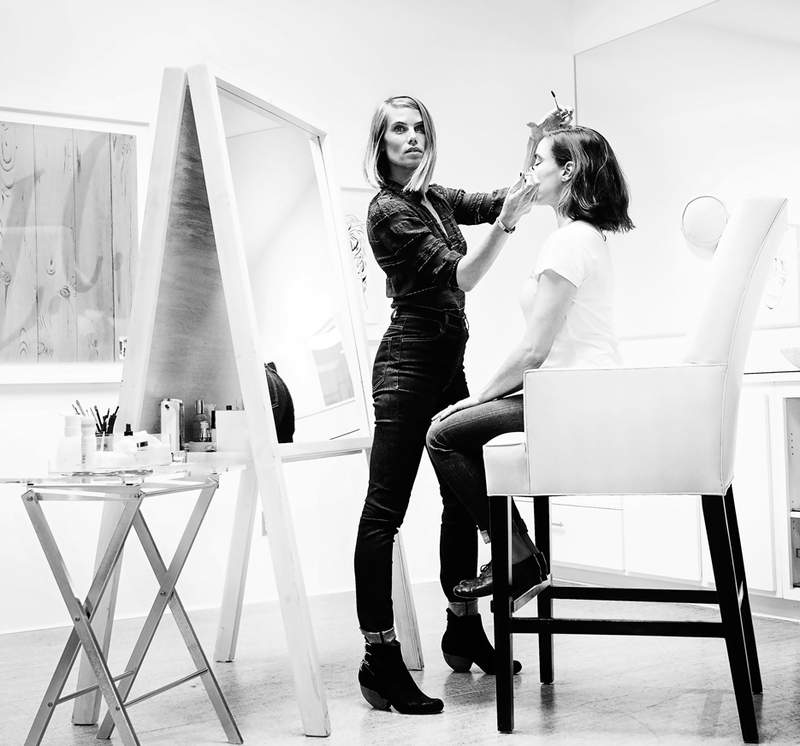 At STRIIIKE, the salon she co-owns with her talented sisters, Streicher uses a delicate hand to create her trademark feathered brows, which are always full and bold (never thin and wispy). Her secret: Good re-growth to fill in over-tweezed areas. When Streicher’s clients request bolder brows a la Cara Delevigne and Lily collins, she encourages them to first, be patient. “The most important step to growing out your eyebrows is the initial 8 weeks because I shape according to the natural arch of the brow. Typically, by the 8th week, I can begin to see the natural eyebrow line,” she explains. Herewith is her step-by-steps to thicker brows. Set your tweezers aside for six to eight weeks to let eyebrows grow to their full potential. A reprieve from plucking will also help synchronize the hair follicle’s growth cycles, leading to less tweezing altogether. Tinting your eyebrows with vegetable dye is a great way to soften a hard look or add fullness and definition to a lighter brow. (Note: it's best to go to a professional to have this done.) Streicher makes her own custom proprietary blends to match each client’s needs. In a well-lit space, take a pair of tweezers (Streicher is partial to Rubis' stainless steel slant model) and hold skin taut. Gently pluck hairs in the direction of growth following the natural brow line. Take frequent steps back to review (after tweezing about three or four hairs). To trim, focus only on long, errant hairs growing beyond the brow line (Violet says: Rubis Classic Nail/Cuticle Scissors do the trick). To fill in sparse areas, choose a powder or pencil color that is the same shade as your eyebrow hair color (not the hair on your head). It's also worth considering your complexion type. For oilier skin, Streicher works with a powder, whereas for dry skin, she opts for a non-waxy, low-oil pencil from Troy Suratt. Using short feather strokes, shade just above and below the brow line as well as where you have thin areas of hair. The secret to Streicher's patented Feathered Brows? Brow gel. Start by brushing the hairs upwards at the start of the brow closest to the nose. 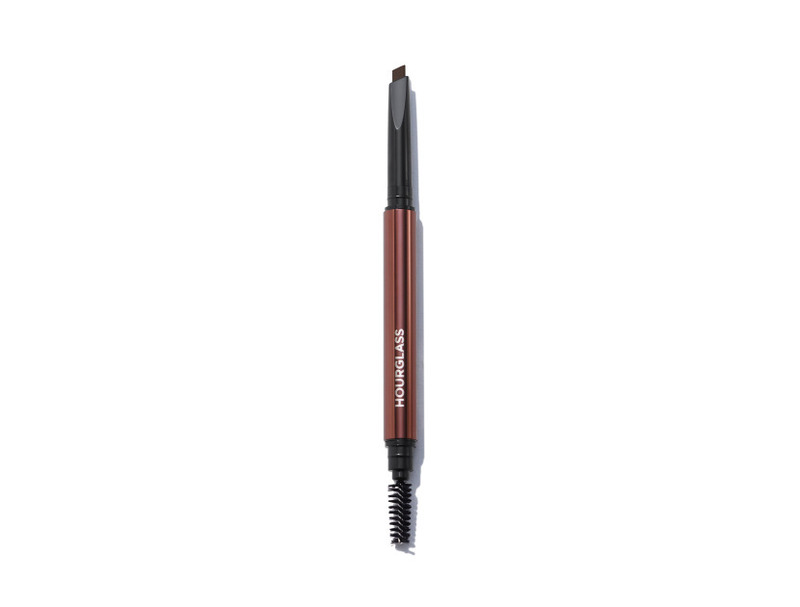 Then brush the middle portion of the brow back into place to cover any remaining sparse areas. Finally, brush the outermost ends up and out. Streicher prefers a tinted brow gel with a mascara type brush (like M.A.C. Pro Longwear Waterproof Brow Set) because it offers more even distribution and allows for better shaping. Create naturally defined brows with an advanced Vegan-friendly formula that combines powder and wax. Three sisters with beauty in their DNA.